A mentoring program, Delta Academy is created out of an urgent sense that bold action is neededto save our young women from the perils of academic failure, low self-esteem, and negative images in society. The goals of the program are to focus on the social, physical and emotional development of our young women in grades 6-8 and to prepare them for full participation as leaders in the 21st Century. We provide structured learning activities that focus on topics such as self-esteem, empowerment, education, community/public service, leadership skills, healthy eating and exercising, and enhancing their talents and interests. 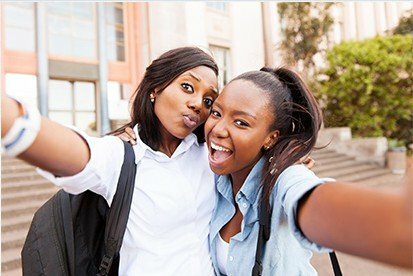 Delta GEMS, the acronym for Growing and Empowering Myself Successfully, was created to help African American young women grades 9-12 realize their dreams. The Delta G.E.M.S framework is composed of five major components (Scholarship, Sisterhood, Show Me the Money, Service, and Infinitely Complete), forming a road map for college and career planning. The goals are to instill the need to excel academically; to sharpen and enhance skills to achieve high levels of academic success; to assist in proper goal setting and planning for the future, high school and beyond; and to create compassionate, caring, and community minded young women by actively involving them in service learning and community service opportunities. Mentoring/bonding sessions for Delta Academy and Delta G.E.M.S take place the third Saturday of every month from August – May (unless otherwise noted). All mentors in the program are members of Marietta-Roswell Alumnae Chapter (MRAC) of Delta Sigma Theta Sorority, Inc. and go through an extensive application and screening process. Interested young women must complete an application and be selected to participate in the programs. *Applications for the 2018-2019 Delta Academy and GEMS programs will be available late spring. Want to learn more about our Educational programs and activities?